We’re delighted you’ve paid our website a visit and we look forward to meeting you in person when you come to explore the rich history of Thames, spending some time in an historic former gold-rush township on the spectacularly beautiful Coromandel Peninsula, once bustling with the largest population in New Zealand during the late 1800s. 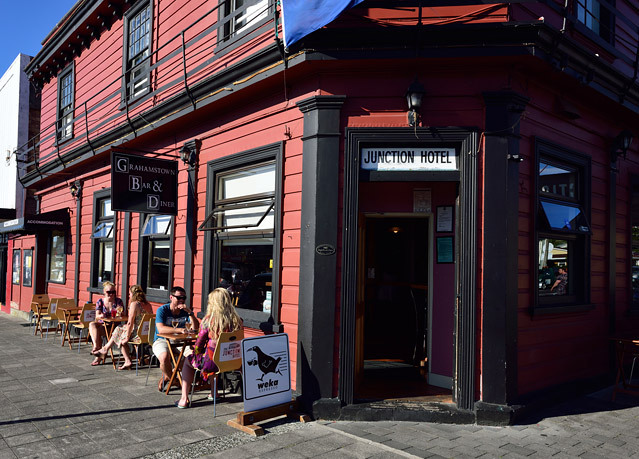 While you’re here now, we’d like to introduce ourselves and tell you about just a few of the attractions and fascinating things you can do when you arrive in our well preserved heritage precinct, where The Junction Hotel is centrally located. 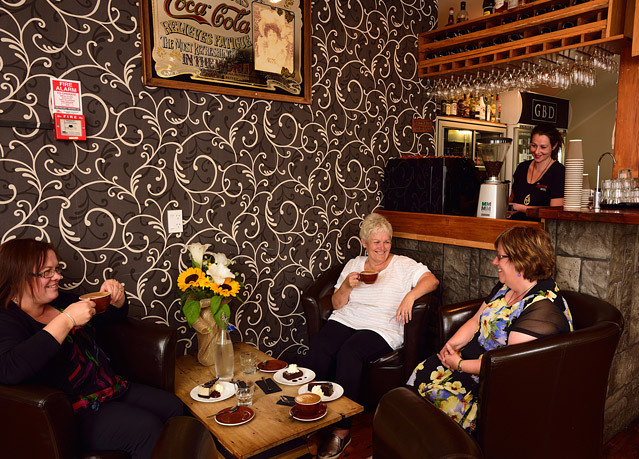 As well, we’ll point out some of what’s on offer and what to indulge in around the wider Coromandel district. Grahamstown Bar & Diner, or “The GBD” as locals affectionately call us, is one of the most popular restaurants in Thames and a favourite night-life venue with a friendly, relaxed, atmosphere where locals and visitors alike get together to socialise over a few drinks and enjoy our delicious cuisine, prepared by skilled chefs using the best New Zealand produce and seafood harvested straight from the waters of the adjacent Hauraki Gulf. It doesn’t come much fresher than that. We also cater for functions and events, from weddings to birthdays to business occasions with seating for up to 80 people in our dedicated functions room. The GBD showcases a regular monthly wine tasting evening with presentations from selected top vineyards from all around New Zealand. 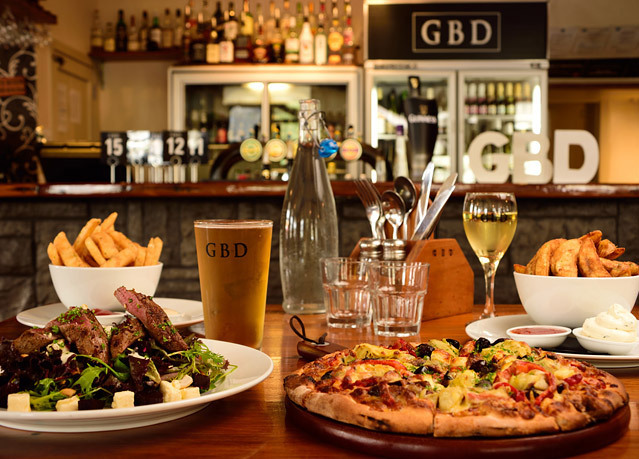 Our Quiz night, held most Tuesday evenings, is a popular get-together for the locals, you’re welcome to join in, and the GBD hosts a variety of music and comedy entertainment throughout the year. And if you’re looking for a comfortable or affordable room for a few nights as your base while experiencing the Coromandel, The Junction Hotel has a range of accommodation options to choose from including large family quarters, twin, single or double rooms, some with ensuite bathrooms and T.V’s. For the budget conscious backpacker, we have a large dorm room as well. The hotel offers all our guests free Wifi internet, tea & coffee, and access to a guest lounge and shared kitchen with full cooking facilities, white-ware and cutlery, refrigerator and a microwave oven available to use 24 hours a day. Check out the ‘things to do’ page to find out more about activities in the region and then learn a little of Thames’s captivating gold-rush history as well as The Junction Hotel’s’ own unique 140 year old story, before perusing the Grahamstown Bar & Diner’s mouth-watering menu options for lunch, dinner and breakfasts (during weekends), which vary regularly to suit the season. Once you’ve acquainted yourself with all these delightful gems on our website, why not come and experience the charm of Thames and the picturesque Coromandel first-hand. Take a leisurely weekend, or longer, and come and make yourself at home at the Grahamstown Bar & Diner and Junction Hotel Accommodation. You’ll find we’re the perfect place to do it all from.